This could be a disaster. I’m launching a new website that does genetic analyses for fun. It combines make-believe and science. There are a lot of direct-to-consumer genetics products out there, yet genetics is not very predictive at the individual level. The science behind these difficulties is abtruse, so why not have some fun while helping people understand their DNA better? In between my various consulting jobs, I caught up on TV, movies and books. Specifically, I got hooked on Game of Thrones. 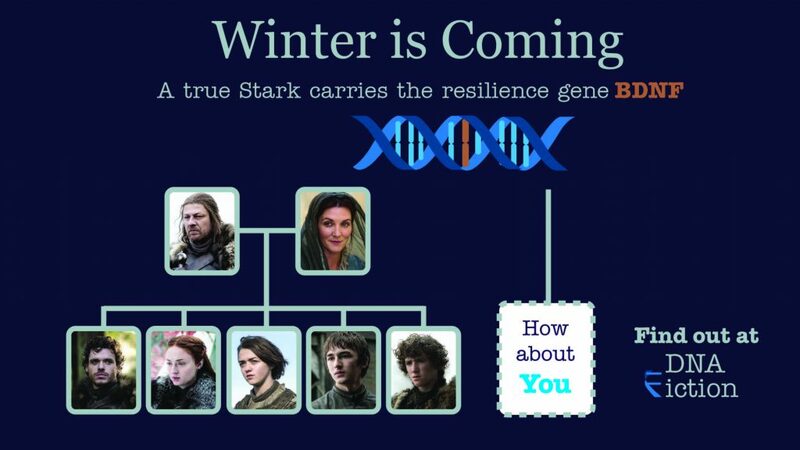 Game of Thrones has a lot of drama, but it also has genetics! 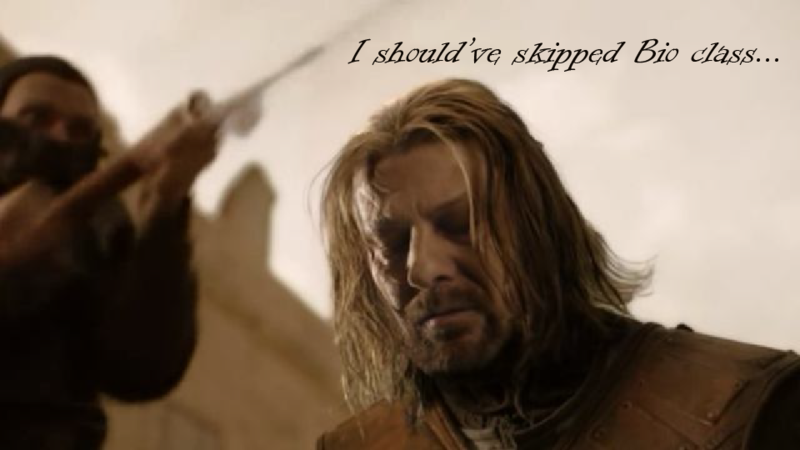 It’s an important plot point – one of the heroes Ned Stark ends up dying because he understands genetics! Ned Stark recognizes that the black-haired King Baratheon can not be the father of Queen Cersei’s golden-haired children, which means her children should not inherit the throne. The seed is strong… All those bastards [from King Robert], all with hair as black as night. … No matter how far back Ned searched in the brittle yellowed pages, always he found the gold yielding before the coal. Ned confronts Queen Cersei with his genetic discovery; which leads to Ned’s downfall and eventual execution. After getting over the shock of Ned’s death, I went meta and realized that genetics and fantasy don’t have to be completely separate — they can be mixed. Our favorite characters have interesting personalities and traits, and a lot of these characteristics have been researched. Based on this research we can create a genetic sketch of what our favorite heroes might look like at the DNA level. My app then takes your DNA (from direct-to-consumer DNA companies like 23andMe), and predicts which traits you might have (like loyalty, brave, strength endurance). Finally, the app shows what traits you could have in common with your favorite fictional characters. For example, the T allele in rs6265 in the BDNF gene is associated with resilience. So if your DNA has the genotype TT for rs6265 , we’d predict you were also resilient, and would likely share that trait with Ned Stark. I admit this is one of my stranger ideas, but there is a long tradition of combining science with fiction; why not add genetics to the mix? Since I don’t have a full-time job, I figured it was a perfect time to try new things and a perfect time to fail. I realize this may not be for everybody — but if you want to see what you have in common with your favorite fictional characters, please try out my DNA Fiction website.